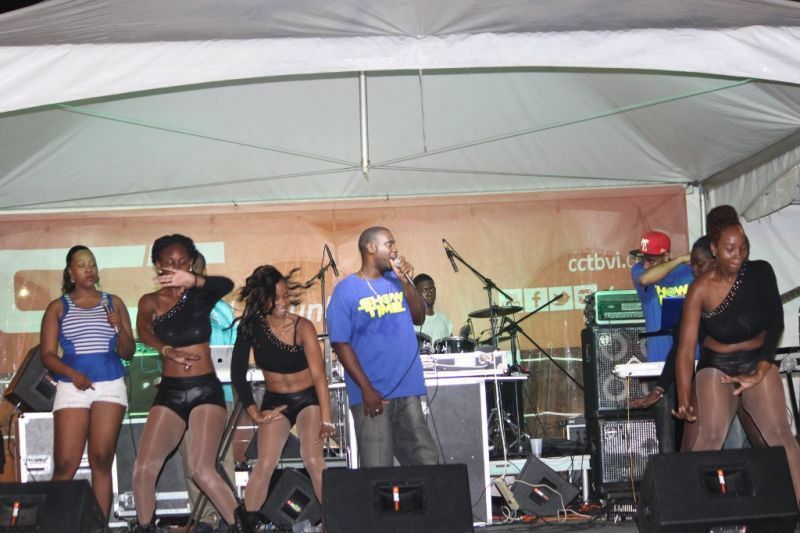 ROAD TOWN, Tortola, VI – In no controversial fashion this time, hot band on the scene VIBE took its second Road March title following the VI Emancipation Festival Parade on Monday August 3, 2015. Road March is determined when the entry song is played during the demonstration by troupes at the Judges stand. According to the Virgin Islands Festival and Fair Committee (VIF&FS), VIBE entered four songs in the competition: Gravity, Dig Deep, Party Hard and Hand Clap. “Hand Clap won with a total of 17, meaning it was played 17 times by various troops and other entries during the parade while performing in front of the Judges stand,” VIF&FS said in a press release. Virgin Islands News Online spoke to lead singer of VIBE, Raul ‘Juggo’ Sprauve who said the band welcomes the news of it being named Road March champions. In reference to the song ‘hand Clap’ that retained the title for the band, Mr Sprauve said it’s a party track that anyone could relate to and easy to catch on. The other entries came from Prime Time with Putting on Meh Rum, Whip Whap and Tap Put. Xtreme entered with Resurrect. “The VI Festivals and Fairs Committee congratulates VIBE on their hard work in producing such great music for the VI and on this wonderful achievement in retaining the VI Road March Champs title for another year. The Committee also wishes to thank Prime Time and Xtreme Band for their participation and also producing such fantastic music,” the VIF&FS press release further stated. Notably absent this year in the Road March competition was 8-times champions Showtime band. Unconfirmed reports are that the band boycotted this year’s competition over its disagreement with last year’s results. Showtime band won the Road March title six years in succession before yielding last year to VIBE, considered a breakaway band from Showtime. The results, however, came amidst much controversy as Showtime band claimed the rules were changed in the middle of the competition and refused to accept that VIBE had won and insisted there was a tie. The band had even produced evidence to support its claims. Let me be the first to say congrats!!! I must admit this band is impoving everyday. i feel proud to know you guys come from the BVI. Rep us well. So tell me what song should of won? my mother told me if you dont have anything good to say... keep your mouth shut. cause i cant see any other song did better than hand clap. 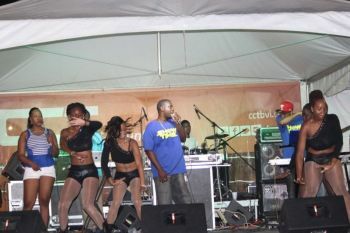 Tortola have two bands Vybz and Prime time---all the rest are just pick up squad. Find man when you ready to play band--strruuppeess...Chicken deserve recognition for keeping Prime time alive for about 30 years contributing to festival...Just want to see Prime time improve----One man playing in all 3 and 4 bands--strruuppess, only in the BVI, Congrats Vybz--stay with it---stay together. That's your opinion. But most people prefer hand clap. You probably a member of showtime trying to gain brownie points. But come on man. This crap need to end. Give up let it go. U can't win all the time. This is what killing your band. Expect your lost and move on. The more u bicker the more fans you lose. only boss can blog? People are aware of whats going on. But I blame we the people of the BVI for giving these troupes such power. They feel that if they don't participate the parade wouldn't go on... The school needs to be more involved with the help of the Education Department, Teachers and Parents. Villages needs to be more involve as well... I don't see why is it so hard for each community or village to have a troupe. We all know Parade is the same time and place every year. Starting getting your ideas and thoughts together. You sound like that thiefing girl who don't her father. Always following band drama. Look for your children please. He with the zombies lol dead!!!! If he didnt run his mouth and bad talk vibes more people would of supported him. but that's part of life. live and learn. Big up to the big bad VIBE! We done know we had this in the bag. Show me your hands! it had 17 troops at all ??? T'J is a Groovy singer ... yall chanting for Rhythm pace ... So they hype songs will continuously see the light ... Yall pick a side ... cha man !!! TeeJay and VIBE need not listen to sulphur tongues...VIBE was built with all who you see in the pics. don't try to separate with who's better, they are a team. People like you divide a good thing always. all VIBe has to do now is stay clear of people who seem to wish well but mean the worse. Stay focused!!! When showtime owner or what ever he is, in the festival committe no one saying anything. All the schools lock down by two bands how can others compete?